But, when does branding go beyond simply lending legitimacy to your business? What elements of branding actually have the power to move the needle when it comes to expanding your audience, or – even better – your revenue? Inherently in his definition, Seth implies that the whole point of developing a brand is to rise above your peers. (Peers are more commonly referred to as “competitors” but I hate the idea of reinforcing that comparison mindset, so let’s instead say “differentiate yourself within the peer landscape.”) But to do that, you first have to be seen. Which brings me to the next level of branding achievement – understanding. Attention and understanding can be powerful, but I would argue that, most of the time, neither one is enough to ensure that a passerby converts into a customer –or better yet — a fan. So, then, what turns a person from a casual visitor into a customer, a client, or a brand advocate? What makes the person in Times Square throw their fiver into a street performer’s hat, or — what’s even more powerful — go tell their friends about the experience they had with that one special performer? You did it! You’ve made it to the final level of effective branding and if you can tackle the Boss – Brand Resonance – then you win the ultimate game reward: a brand advocate. After working with dozens of branding clients – from solopreneurs to large marketing companies – one thing has become clear to me: crafting a powerful brand story is the first step in connecting with your brand’s true fans. Every place and way that you communicate that narrative – whether it’s through your brand identity (your logo, color palette, photography, typography, etc. ), your copy, or an event experience – is an opportunity to make an emotional connection with a potential customer or client. Resonance gets you an engaged audience and an engaged audience gets you clients, sales and revenue. Not only will people stick around to hear what you have to say, they’re going to buy, and – even better – they’re going to tell their friends to check you out too. Most branding – even good branding – stops at levels one or two of this list. 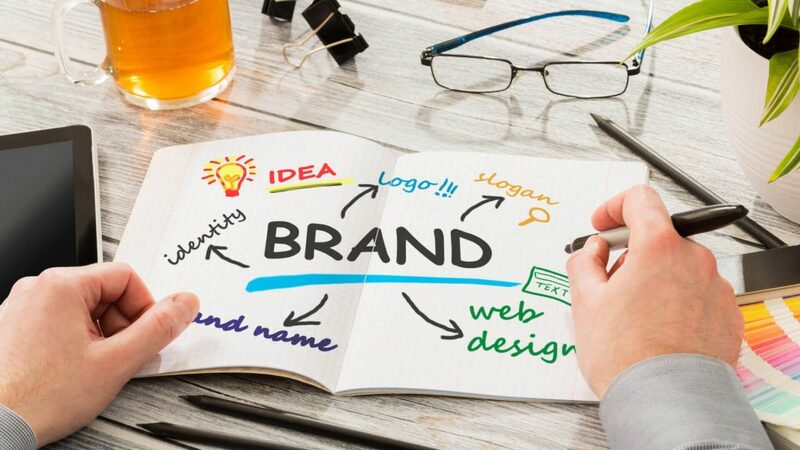 Good branding is well-designed, professional, attention-grabbing and aids in the communication of what a company does. BUT, if you’re dressed as a break-dancing grandma in Times Square with a big photo of your own grandma beside you, wearing her track suit because she loved to dance and back in her heyday she taught you everything you know about break-dancing… well then HECK YEAH I’m going to give you my money. And HECK YEAH I’m going to remember you AND tell my friends about you because I love my grandma and she taught me things too.